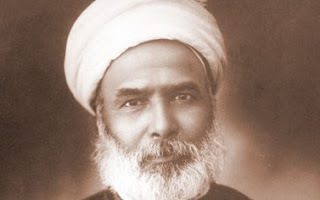 Muḥammad ʻAbduh, The Theology of Unity. Translated by Ishaq Musa’ad and Kenneth Cragg (New York: Islamic Book Trust, 2013). 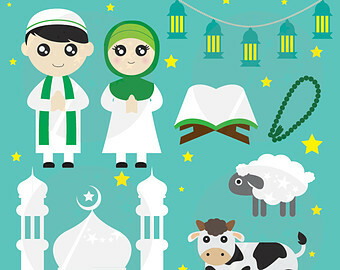 When everyone you admire holds a certain set of values and they belittle your religion because it doesn’t seem to fit their idea of what is right, it is very tempting to change your religion to make it fit with the values of the world. In his most famous work, The Theology of Unity (1897) the Egyptian scholar and jurist Muhammad ‘Abduh (1849-1905) did just that. ‘Abduh traveled widely throughout western Europe, was very impressed with thinkers like Auguste Comte (1798-1857) and Lev Tolstoi (1828-1910), joined the Freemasons, fell in love with the Bahá’í faith, and decided that Europeans were following the Qur’an more closely than most of the Muslims he knew in Egypt. ‘Abduh is fighting a battle on two fronts in The Theology of Unity. First, he challenges those whose answer to every situation is “have faith!” They are guilty of shirk, ‘Abduh says, which he defines as “the belief that any other than God has a superior causation to that which God, by His gift, has set in the manifest causes and that there can be a greater force than that arising from the created order.” In short, it is “not letting God be God.” When God has created the world in such a way that to heal a sickness you need medicine and to win a battle you need a good army, it is sinful to reject these means to ends as if they too were not from God. On the other hand, ‘Abduh argues against people who want to rely on their reason for everything, and think that they have no need for divine revelation. “The human mind is not competent to know, of God, what ought to be known, nor to understand properly the nature of the life to come, nor yet to comprehend the requital which every sort of action will receive in that world,” ‘Abduh warns. This is why we need prophecy, and why Muhammed’s revelations were so miraculous. That an illiterate prophet could produce prose of such superb quality blows his mind, and he needs no other proof that the Qur’an could only have come from God. Leaving aside the historical inaccuracies in his argument, I find Muhammad ‘Abduh’s project a very interesting one. He understood how different his version of Islam was to the beliefs of his contemporaries, and saw himself as a reformer in the tradition of al-Ghazālī or Ibn al-Ḥājj; men who transformed Islam and shaped it in their own image. If religion involves a dialogue between humans and God, as Christians believe that it does, then seeking God where He may be found, incarnated in one’s own place and time, is a perfectly reasonable thing to do. But if God has revealed himself definitively through Muhammad and the goal of theology is to find the Qur’an’s one and only true meaning, then ‘Abduh’s endeavours are very problematic. To begin with, ‘Abduh’s presentation of Islam is deeply anachronistic, taking him light years away from the dusty world of late Antiquity. Moreover, his epistemology traps him within the iron cage of modernity, with its belief that nothing is right if it is not reasonable, its simplistic, all-or-nothing approach to truth, and its arrogant judgment of its Others as “uncivilized.” Combating slavery or pursuing economic equality is a great way to live, and ‘Abduh’s followers will certainly lead healthy and productive lives. But it all seems to miss the point somehow, and risks leading us away from God and into our own wisdom.